We have completed 7 mouths successfully. As you know that we are giving you every update of loot deals every time. 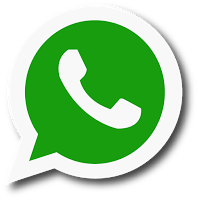 So to make it easy for you to get update on the go, we have started broadcast system on Whats App to get deals on Whats App from us. Follow below steps to be a part of our Whats Broadcast List. SMS SUB HD Your Name on +91 7597550171 only on Whats App. Add this mobile number +91 7597550171 to your contacts as a name Hungama Deal. Then open your Whats App and search for Hungama Deal. Message this ‘SUB HD YOURNAME’ like SUB HD Chirag. We will add you soon to our broadcast list. Don’t ask any questions on Whats App. Ask your questions or queries on the website by commenting. Don’t reply by giving emotions or comments in reply to our deals. If you want to share some tricks you can do that in personal message of Whats App. We will give credits to you on the deal or trick. Don’t say to us for any tricks or loot deals if it will then we will share it.